This gorgeous letter F monogram necklace is made with pure sterling silver! 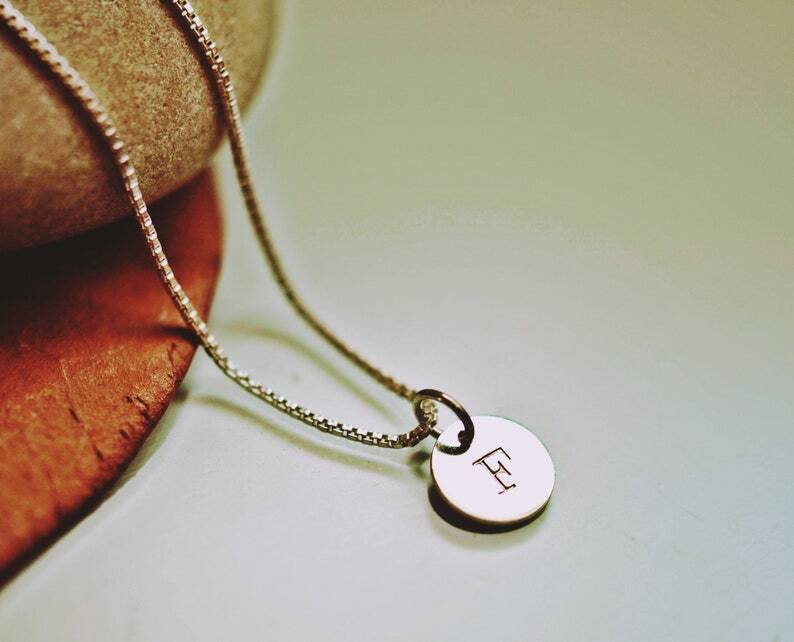 Each silver pendant is carefully stamped by me with vintage letter stamps. I found these beautiful stamps in an antique shop and adore the imprint they leave on the sterling silver. The smooth surface of the silver reflects the light beautifully! * A gorgeous 18" Sterling Silver Box chain is included * The chain is pure sterling silver. Your initial necklace will come carefully wrapped in a gift bag. If you are looking for a unique gift, this is the perfect piece of jewelry!